one black toner cartridges free. 2)_ Ricoh Aficio_MPC-2051/2551/2031/2531 TONER CARTRIDGE. Etc. 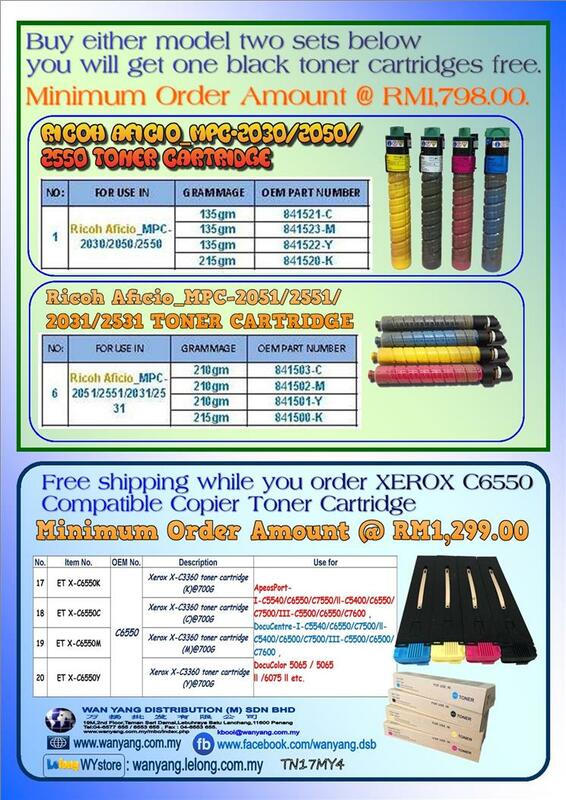 Free shippingwhile you order XEROX C6550 Compatible Copier Toner Cartridge. Minimum Order Amount @ RM1,299.00. [The price shown for Indication Only; Please call us for confirmation ].